Supreme Court Oorder Reg Adhoc Service can not counted as Regular service thn how DG ;AIR counting contract service even without verification of contracts counting this as regular service ? For Appellant (s) Mr. N.N. Goswami,Sr.Adv. continued or regular appointment in that grade." decision of the Tribunal in Verma's case. The appeal is accordingly allowed. accordance with the aforesaid principle. CAT directions "No to frauds "
Shri S.Ragappa, Cousel for applicant in CP 217/2005. Shri S.K.Dubey along with Deepak Kumar, counsel for respondents(UOI). Contempt petitions arise from the orders passed in O.A. No.2343/2001 and connected cases. To appreciate the situation it may be required of us to take notice of the operative portion of the judgment, especially, paragraph 20 thereof. It is extracted herein below. 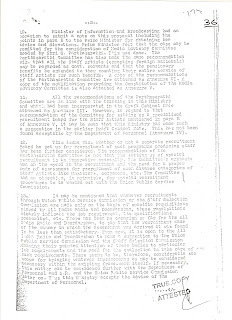 “Having regard to the discussions made above, both OAs are allowed and impugned order dated 25.08.2000 is declared illegal as the same has been passed without giving option to the Programme Executive whether they are being considered for production cadre or for management cadre Respondents are further directed to conduct review DPC and also give an option to the officers belonging to programme executive cadre whether they want to go to Programme Management Cadre or for Production cadre and the DPC will also consider their option and may allocate the cadre to be allocated and recommended by the DPC as per rules. This exercise should be completed within a period of three months but in the meanwhile officers who are working on production side or on production programme cadre, they should not be disturbed till the exercise is completed. OA is accordingly disposed of”. 2. The review DPC was to take note of the options of the officers, viz whether they wanted to go to Programme Management Cadre or to Production cadre and was to be allocated the cadre as per rules. 3. There was delay in such exercise and contempt petition had been filed. 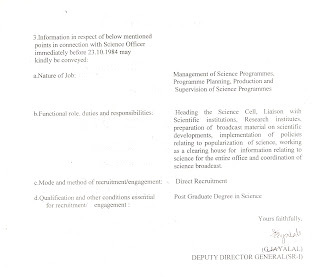 The latest affidavits filed by the UOI as well as the DG, AIR indicate that the matters have been referred to the UPSC and the final selection process is in progress. 4. 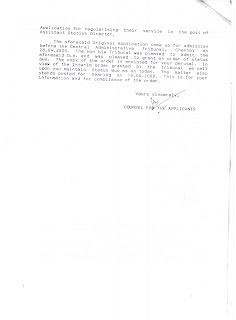 The respondents had further disclosed their stand that the competent authority had decided to treat the seniority/eligibility list of the officers concerned as on 1.9.1992. According to the learned counsel for respondents scope as coming within a review DPC can be only on the above lines. But , however, Mr. Rajappa, counsel and some of the applicants, who had appeared in person in CP 217/2005, as well as Mr, Bharadwaj, counsel for applicants in CP 131/2007 submit that the combined list annexed to the reply affidavit dated 24.7.2007 is the one decided to be placed before the UPSC. 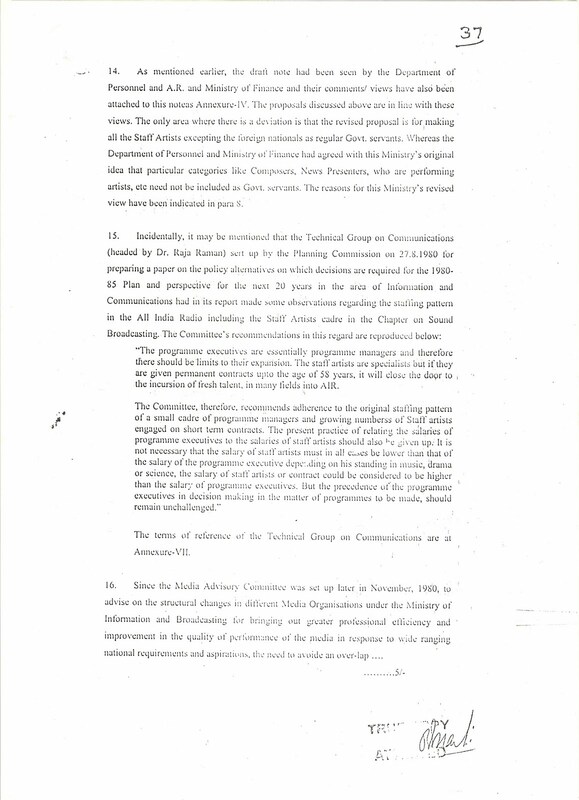 It could not have been acted upon when the rule position was to be taken notice of Schedule IV and V of the relevant rules according to them specifically indicated that for promotion to the JTS cadre list of officers in the feeder category such as Programme Executives and Farm Radio and Extension Officers were to be finalized only taking note of their date of appointment in regular basis in the relevant pay scale. Date of regularization indeed was to have strict relevance. 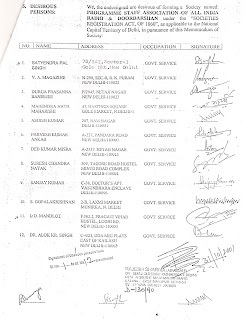 But as of now a number of persons whose claims might have been considered by the UPSC, could not have hoped to include their names in the list as some of them had not been regularly appointed on the date of reckoning, although the list presented is prepared as if they had regular service. 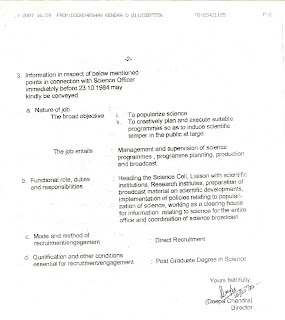 If the UPSC acts upon this the entire efforts so far taken by the applicants are liable to be infructuous. 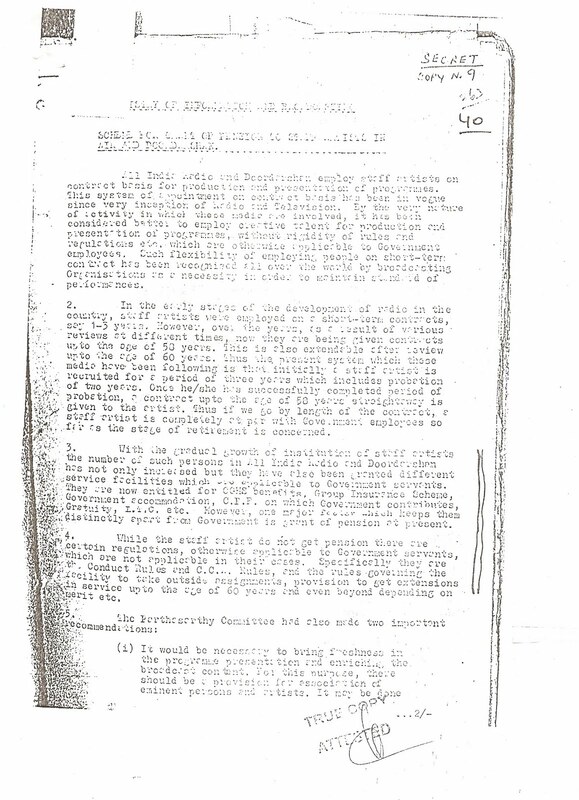 The list is also forwarded as above, according to them to help the ineligibles. 5. In contempt proceedings, the Tribunal is expected to examine whether or not there is contumacious conduct. Generally it is not expected that weight of the Tribunal is applied at every stage of consideration of the claim. The end result has to waited. But however, a stitch in time may save further complications and if there are sufficient materials to show that ineligible names are presented before the UPSC, the entire exercise becomes futile. The respondents are not expected to go technically and are not empowered to do something which is not in consonance with Rules. 6. 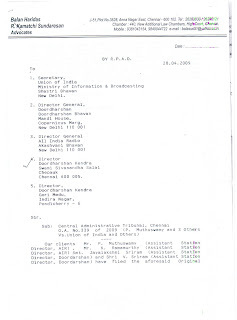 As an extraordinary step, we direct the second respondent, DG,AIR and 3rd respondent Director General (Doordarshan) to file separate affidavits stating whether or not the list presented before the UPSC for consideration by the review DPC(Annexure D)contains the names of only personnel who could be considered as eligible , and had enjoyed regular appointment in the concerned grade as shown in Annexure D. In other words, it should be made clear as to whether the date of regular appointment shown in column 5 of Annexure D of the candidates are supported by authentic proceedings in their personnel records giving them such status, with effect from the dates as seen assigned. Affidavits are to be filed before 31.8.2009. 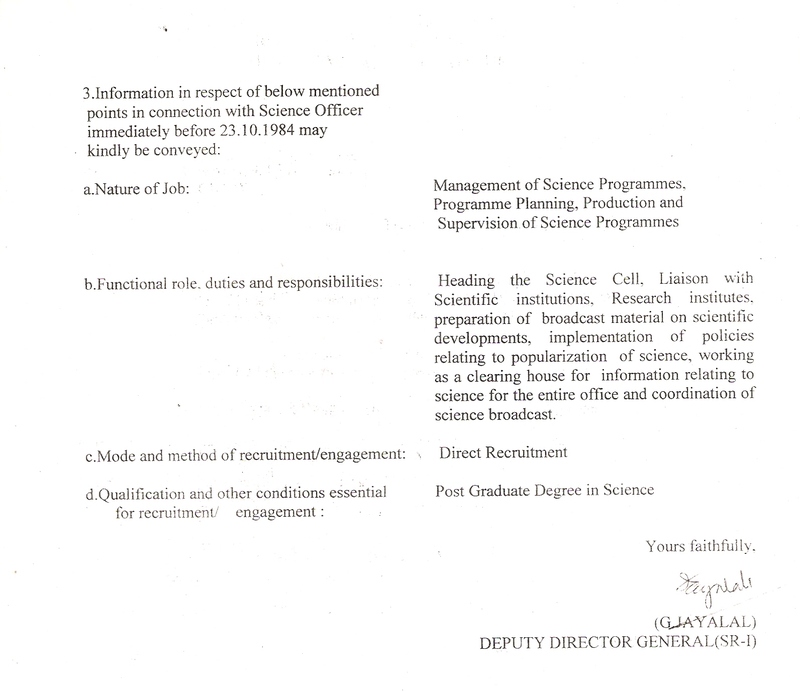 WHY UPSC RECRUITED PROGRAMME OFFICERS LANGUISH AT THEIR ENTRY LEVEL POSTS FOR 20-27 YRS? 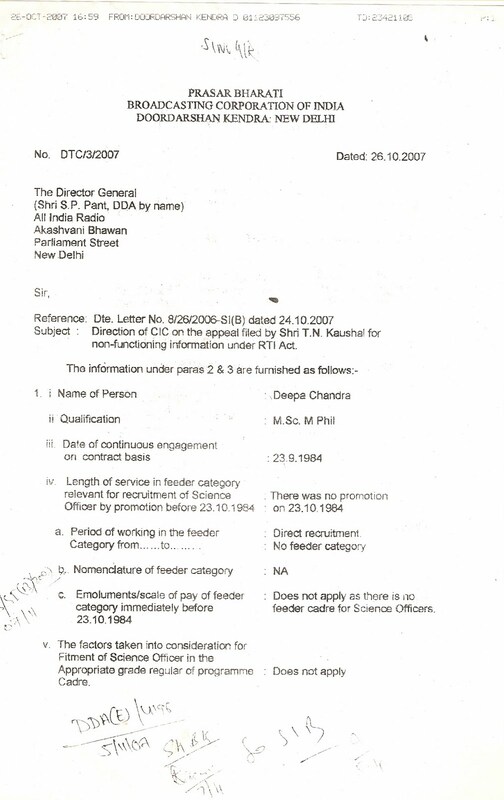 WHY THEY SERVE UNDER PERSONS ENGAGED ON CONTRACT WHO WERE ILLEGALLY INDUCTED IN THE PROGRAMME CADRE? WHY A REVIEW DPC ORDERED BY THE COURT IS DELAYED FOR FIVE YRS? WHY STATUTORY RULES ARE GROSSLY VIOLATED??? 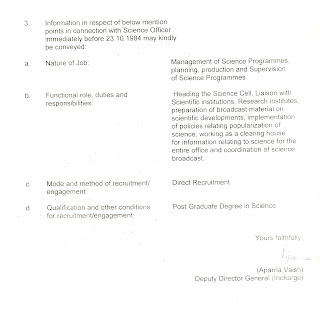 Minutes of the Co-ordination Committee Meeting of the Association of UPSC recruited Programme Officers of AIR& Doordarshan (AUPO) and the Programme Staff Welfare Association(PSWA )held on 16th June 2009 in Broadcasting House, New Delhi. 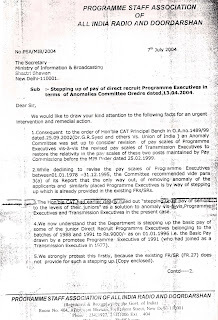 An emergency meeting of PSWA and AUPO was held in All India Radio Broadcasting House, New Delhi on 16th June 2009. The meeting was held in view of a large number of direct recruit Programme Officers from PEX upwards all over the country expressing their deep anguish over the inordinate delay in holding of the review DPCs and DPCs for the JTS grade of IB(P)S as per the directions of the Hon’ble Courts . The meeting also discussed that the delay in conducting review DPC/DPCs was directly linked to the large scale recruitment/promotion scam in the Programme cadre of All India Radio and Doordarshan. 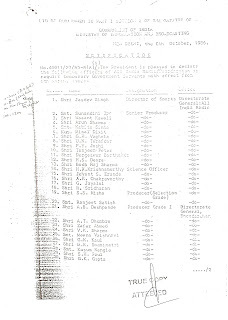 Members across the board expressed their deep indignation and unequivocally condemned the fact that Programme Executives recruited by UPSC have not got a single promotion for 20-27 years and are being forced to serve under persons engaged on contract and illegally inducted into programme cadre in violation of all norms and statutory rules. 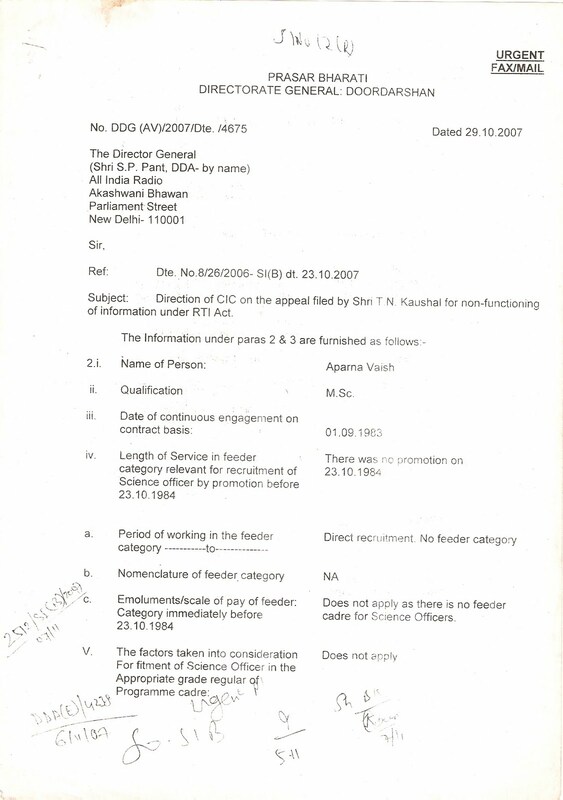 Some vital documents obtained through RTI recently by the Associations pointing to a full blown recruitment /promotion scam in the department were also placed before the members. 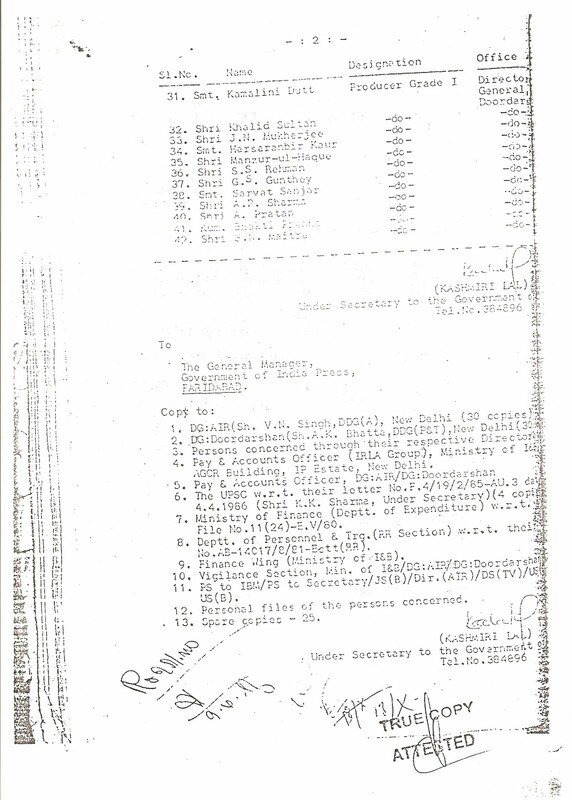 The documents show how hundreds of illegal appointees such as present day Science Officers etc (serving as i/c DDG ) were inducted into the programme cadre in violation of the Cabinet Approved MIB Regularisation Scheme of 1982 and the Statutory Recruitment Rules. Members expressed their anxiety with the pace of progress in resolving the issue, in spite of some interactions/meetings being held at the highest levels of Administration and their positive intentions to remove illegalities. It was also observed that some subordinate officials are adopting obstructionist and dilatory tactics to delay the efforts to resolve the matter as they appeared to have a nexus with the illegal appointees. a. 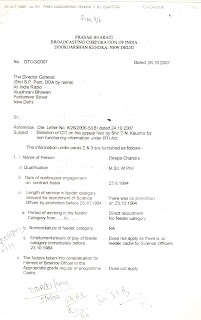 It was resolved that if there was no concrete progress to resolve the illegal interpolations of ineligible contractual persons into the seniority lists of the Programme Executives and the encadered Staff Artist before the next date of the Contempt Petition –i.e 2nd July 2009 – a three day “Calling Attention” sit in Satyagraha Dharna would be conducted at all major selected Capital Stations to coincide with the Budget Session of the Parliament. Hon’ble Members of Parliament would also be requested to raise the issue during Zero Hour. b. Representatives from different parts of the country shall also congregate in New Delhi and sit on fast to peacefully register the protest. c. It was resolved that, meanwhile joint delegations of both the Associations shall meet CEO, Secretary, Minister for Information & Broadcasting, Ministers of State for Information & Broadcasting, Members of Parliament etc, to seek their urgent intervention in the matter. 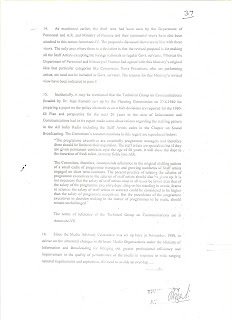 d. It was also resolved that, as a Confidence Building Measure, DG,AIR , CEO and Secretary(I&B) should be requested to take concrete steps to remove persons illegally interpolated in the Programme Cadre to ensure that the law of the land prevails .As an interim, all administrative powers should be immediately withdrawn from those illegal appointees holding high and senior positions in the Programme cadre, pending the conduct of review DPCs, so as to avoid abuse of authority . e. Failing which members will be constrained to not take any orders, instructions etc from these officers and shall not submit their ACRs etc. to these illegal appointees. 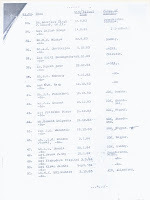 f. It was resolved to request the Deptt and the Ministry to revoke all DPCs from STS up to SAG Production grades of IBPS conducted after March 26th 2004, as these DPCs failed to include those from Programme Executives cadre who are eligible as per statutory rules for Production posts of IBPS and as held by the Principal Bench of CAT on 26th March 2004.
g. It was resolved to request the DG, CEO and Secretary to fast track an enquiry for finding out the facts and circumstances including the conspiracy and collusion angles leading to the illegal inclusion and the continuous further elevations to higher posts of a large number of erstwhile contractual employees who were not covered by the statutory rule and whose appointments were outside the purview of Art 309.
h. It was resolved that CEO should be requested to take disciplinary action against officials who had been /or are adopting obstructionist and dilatory tactics. i. It was decided that , the issue of recruitment scam shall be taken up with the PMO, Members of the consultative committee, CVC and CBI. j. It was also resolved that the matter be highlighted through Press and media channels to draw the attention of whole nation to the unprecedented plight of the DR Officers of the Public Service broadcasters. 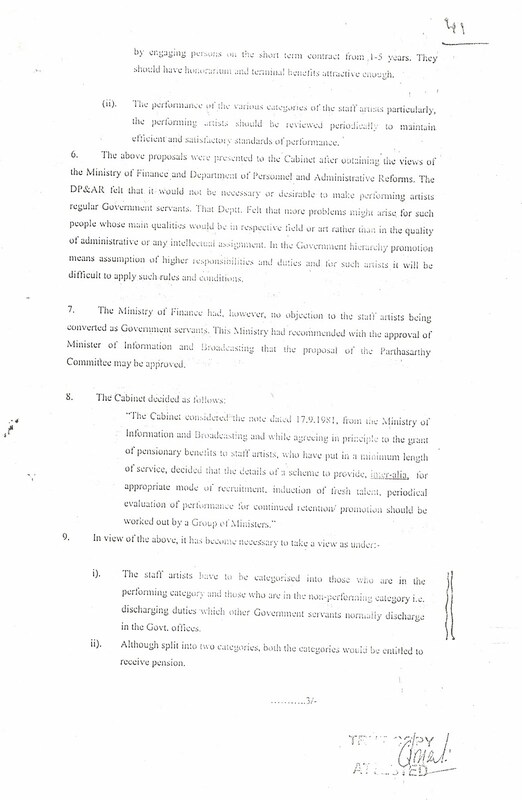 k. Members also decided that the DoP&T, Cabinet Secretary to be approached to request that pending the conducting of the review DPC/DPCs and all consequential benefits being given to the Programme Executives, no cadre review should be done for the IB(P)S and the recent scheme of parity with the IAS should also not be implemented as these would further institutionalize benefits to the persons illegally holding higher posts. 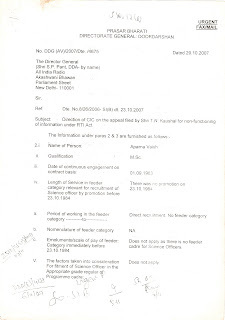 Subject: Request for stopping /keeping in abeyance of cadre review to IBPS and feeder cadre and also the Scheme of equating organized services like IBPS with the IAS , until the outcome of ongoing enquiries regarding hundreds of illegal recruitments/promotions to gazetted posts (from Pex to SAG) in the Programme Cadre of AIR and DD resulting in large scale recruitment scam and also pending review DPCs in programme cadre from 1982 to 1989 and 1990 onwards . At the time of the Cadre Review meetings this association has clearly pointed out that the Cadre review should be undertaken only after the long pending review DPCs in the programme cadre are held. Further, it was also pointed out by this Association that through RTIs and other documents sufficient evidence and documents had been given to the Department that showed that there had been large scale recruitment scam and promotions of illegal persons to the IBPS. 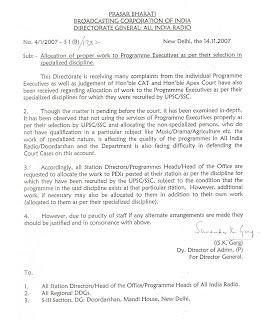 Whereas , the records of UPSC and SSC recruited programme personnel are available in the Department , even basic records including mode of entry , appointment details, qualifications at the time of appointment, background etc of hundreds of other personnel who have been inducted /interpolated in the programme cadre at various periods are strangely not available. It is also understood that there are even cases where from one family, fifty persons have been engaged on contract and then regularized. 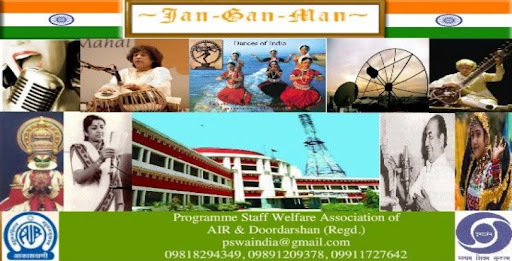 Further, AIR and Doordarshan is the only organization , where persons engaged without any specialized qualification or knowledge or training for 72 days in a year , have then been regularized as Trexs and granted the payscale of Group B gazetted Officers (6500-10500). 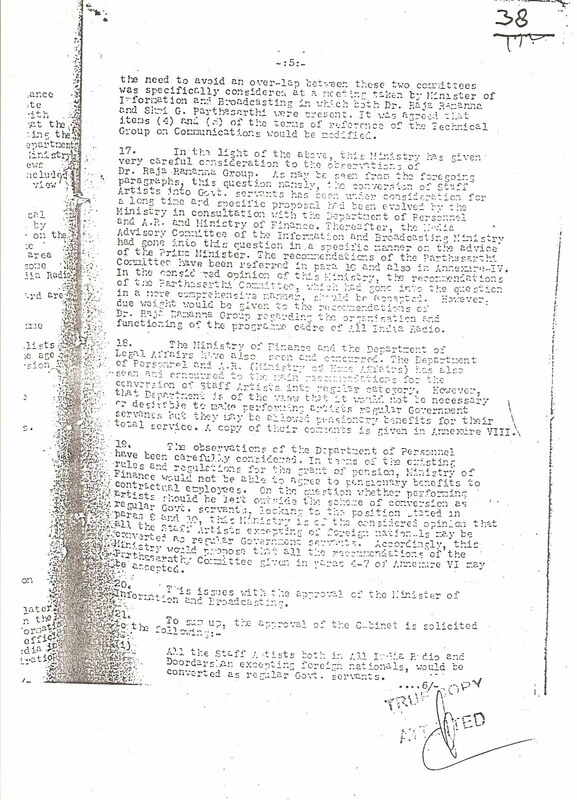 Similarly , persons engaged on monthly contract in 1983/1984 such as existing DDGi/cs like Sh. H.K. Pani, Smt Deepa Chandra and Smt Aparna Vaish were directly inducted into Class I service flouting all statutory rules. Even the fitment of contractual employee , Sh. 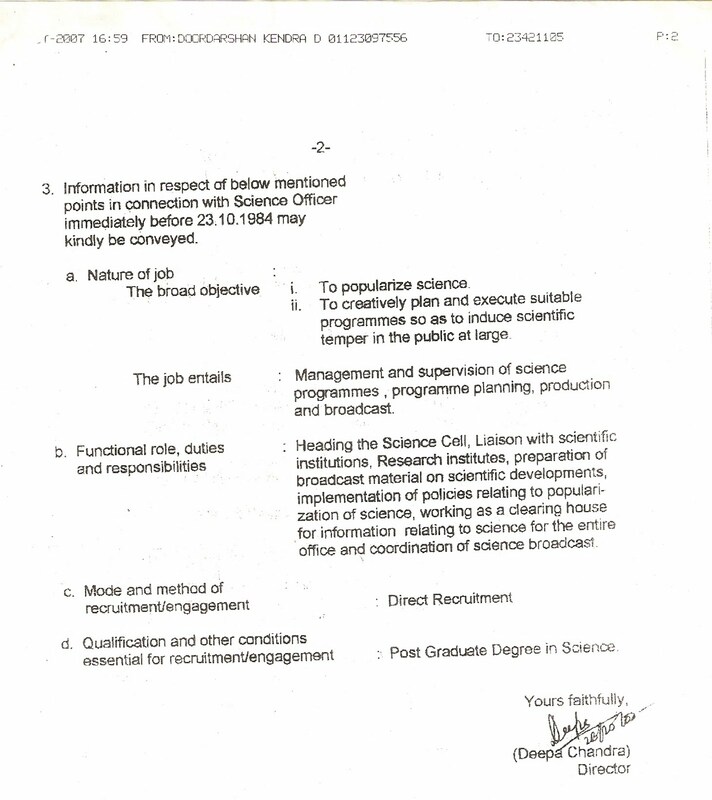 G. Jaylal (who served as Acting DG,AIR) into Class I service (Pex selection grade) was done illegally as UPSC recruited Programme Executives with similar or more qualifications had as per rules to complete at least 11 years regular service in the grade of Pex to become Pex Selection grade. Records show that Sh. Jaylal was wrongly fitted as Pex (selection grade) from the date of his joining on contract as at the same time, UPSC recruited Programme Executives could not become PEX selection grade even after completing 25 years of regular service in the grade of Pex! Such largesse given to Sh. Jaylal was done by violating statutory norms and by granting him undue benefits whereas even SC/ST Pexs recruited with similar or more qualifications by UPSC were denied their rightful dues. Sh. Jaylal, Sh. 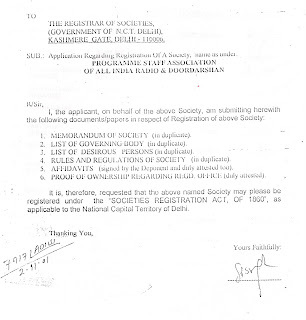 Pani, Smt Aparna Vaish, and Smt Deepa Chandra were also illegally made ASDs retrospectively from 1986. There are many such cases that will surface under the eyes of the enquiry committee. This Association appreciates the efforts of Sh. B.S. 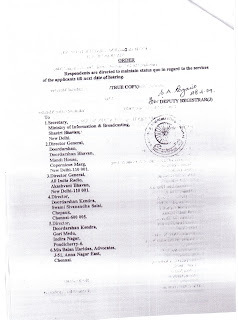 Lalli, CEO, Prasar Bharati , to set right many wrong things in AIR and Doordarshan specially by ordering an impartial enquiry regarding illegal recruitments/promotions to the posts of JTS to SAG of the IBPS. Action initiated in this matter by both DDG(A), AIR Sh. Raj Kamal and GM(P) Shri P.K. Pathak is also acknowledged and appreciated. 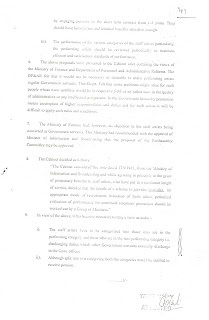 It is however learnt that due to vested interests operating at different levels and under the pressure of the illegal DDGs/Directors of the Programme cadre - there is a move to finalise cadre review proposal by ignoring the above mentioned facts with the specific motive and intention of further complicating the enquiries and review DPC’s related works. 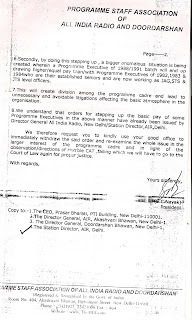 It is also learnt that DG:AIR is trying to implement the scheme equating IBPS and other organized services with the IAS (subject to a 2 year gap) though they are aware that the immediate implementation of this scheme for the programme cadre (without conducting the pending review DPCs ordered by Hon’ble Courts and prior to the outcome of the enquiry on the recruitment /promotion scam) would amount to once again giving give further “undue” benefits to illegal and ineligible persons interpolated into the IBPS. 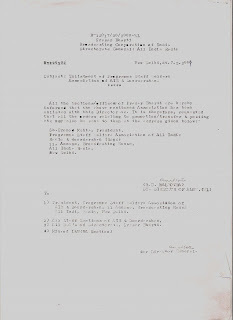 In the circumstances, this Association reiterates it demand that the both the Cadre Review and equation with IAS scheme be stopped immediately and kept in abeyance until the completion of the enquiry referred to above and the pending review DPCs from 1982-1989 and 1990 onwards in the Programme cadre of AIR and DD. It would indeed be a travesty of justice that illegal persons continue to reap benefits , while a major portion of the regular programme cadre recruited through UPSC are stagnating for 27 years in the same grade. 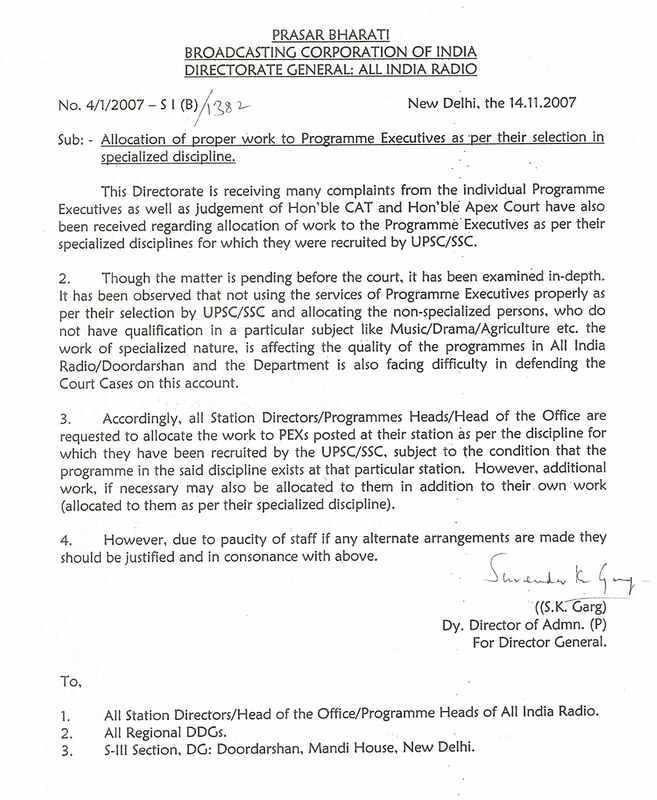 It is requested that DG:AIR, the cadre controlling authority for AIR and Doordarshan should be directed to refrain from implementing the IAS Scheme in the programme cadre and from changing the cadre structure of existing IBPS Rules1990 until the completion of pending review DPCs/outcome of enquiries related to the recruitment/promotion scam in the programme cadre. Hon’ble Vice President of India . 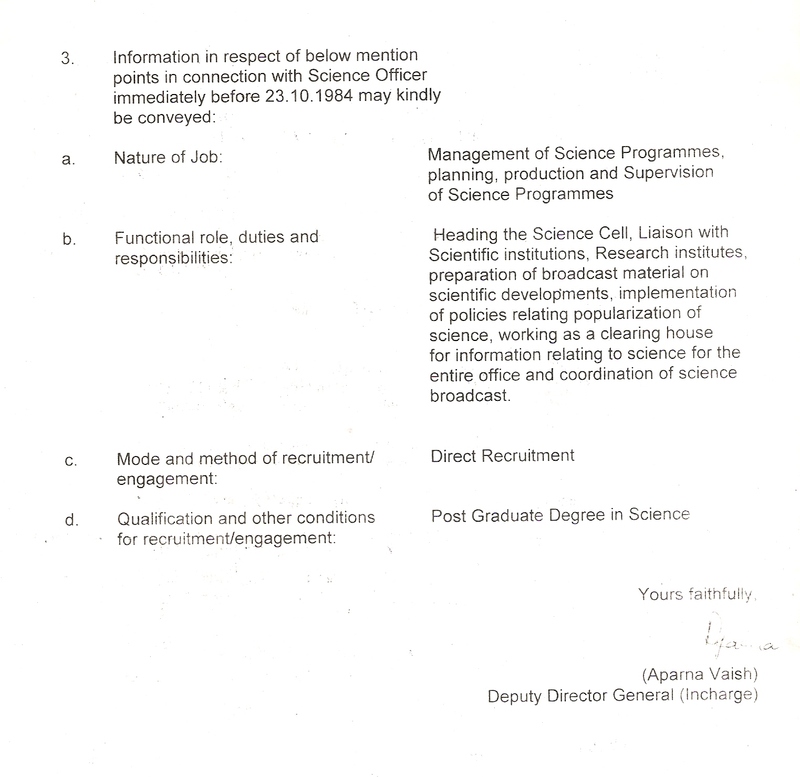 Cabinet Secretary, Cabinet Secretariat, Govt. of India. Aupo efforts to stop wrong doings. 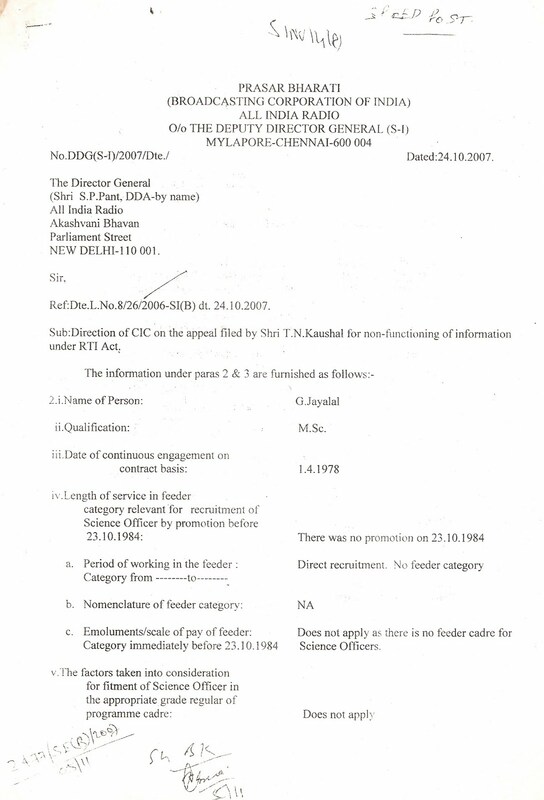 It has come to the notice of this Association that there is a mischievous move by some officers in the Ministry of Information & Broadcasting to induct the Foreign Language Supervisors of ESD of AIR into the IBPS contrary to and in violation of the existing Statutory Recruitment Rules notified under the provisions of Article 309 of the Constitution of India. In this regard your kind attention is drawn to the M/o I&B ID no.45011/57/2005-BA (P) dated 11.09.2007 and ID note of even no. 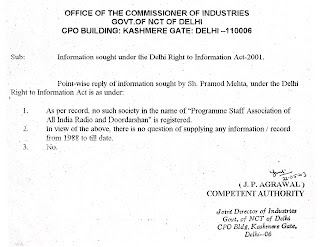 dated 17.7.2008 directing Prasarbharati and DG AIR respectively to firstly encadre the Foreign Language Supervisors into regular programme cadre (group A) of AIR and then induct them into the IBPS in its initial constitution in 1990 as ‘departmental candidates’ with all consequential benefits. 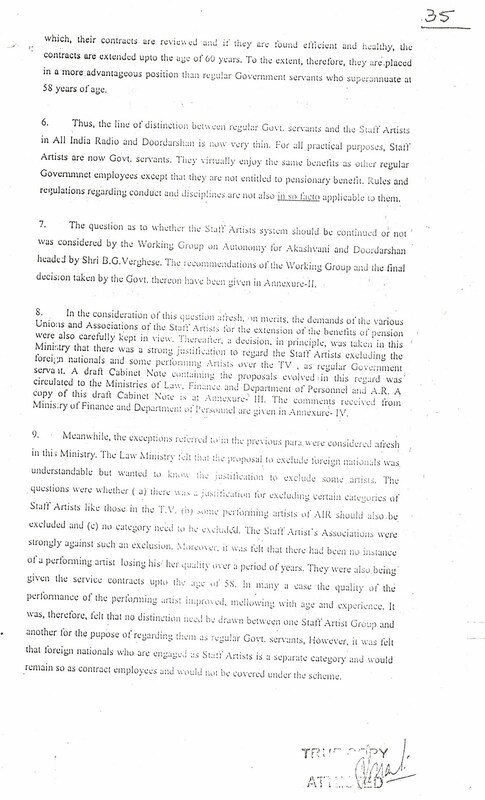 It is important to note that consequent upon the decision of the Union cabinet to regularise certain categories of contractual staff Artists of AIR and Doordarshan as regular government servants a scheme was formulated and circulated vide communication no. 45011/26/80-B(A) dated 03.05.1982. 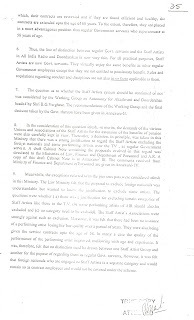 The scheme interalia provided for consideration of those contractual staff artist working on long term contract with AIR and Doordarshan as on 28.2.1982 subject to their being screened and found fit by the screening committees. 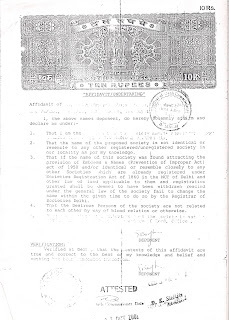 The regularization was to be effective from 06.03.1982. In view of the difference in their job profile, qualification, fee scales etc. 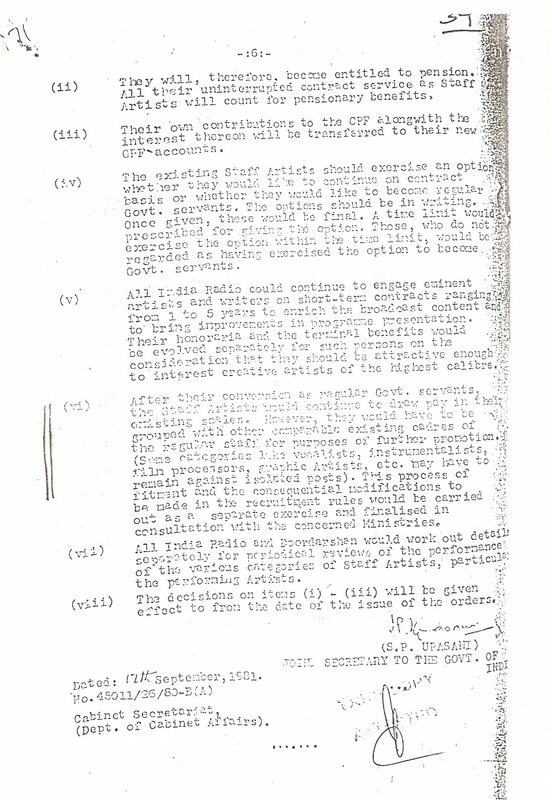 among the various categories of staff artists different statutory recruitment rules were framed as a sequel to the scheme circulated vide communication no. 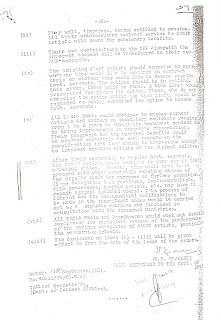 45011/26/80-B(A) dated 03.05.1982 for the screening of different categories of staff Artists and their fitment in the appropriate grades of regular programme cadres. 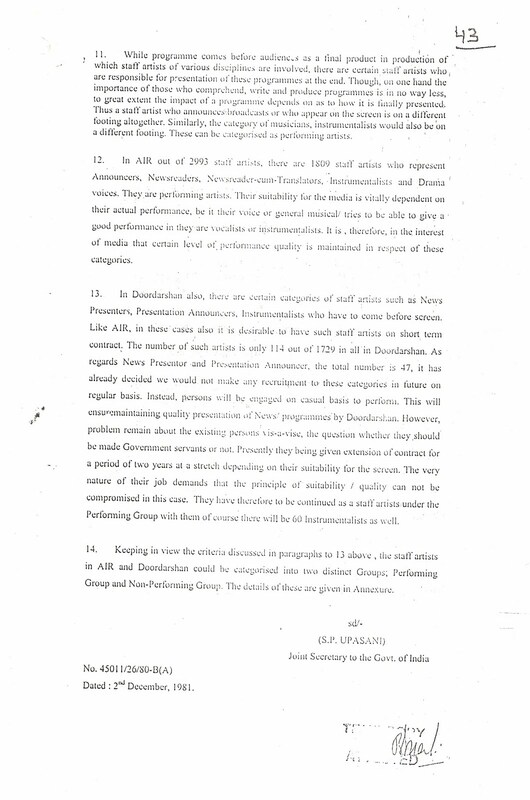 b) Similarly, cols.1,2 &29 Col. 29 of the All India Radio (group A posts) Recruitment Amendment Rule dated 23.10. 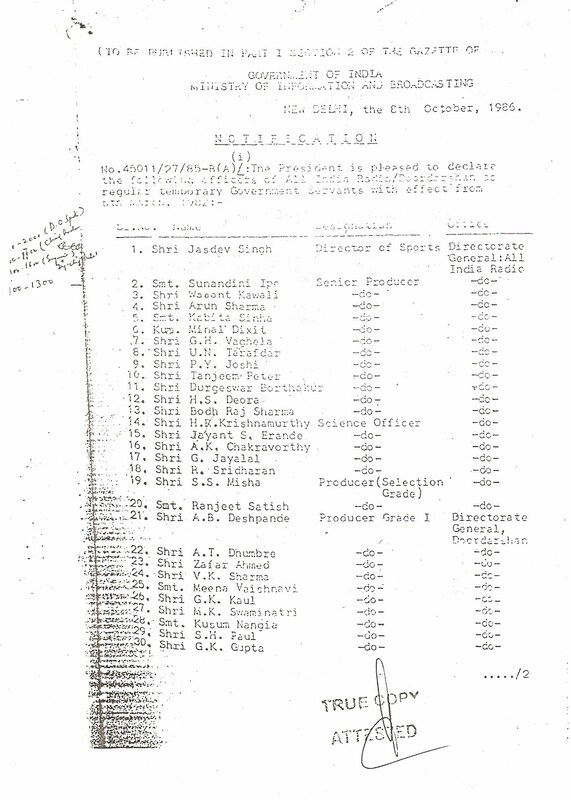 1984 lists certain categories of Staff Artists who were to encadred in the different Group A posts of the Programme cadre. In view of the unique nature of the job of the Foreign language supervisors wherein they are to perform a ‘Watch dog’ role on the foreign language broadcast done by foreign nationals working in different units of ESD and government requires to utilize their services for the same purpose they were not made part of the above statutory Rules and a separate RR under 309 of the constitution The ‘Directorate General: All India Radio Supervisor (Foreign Languages) Recruitment Rules 1987’ was framed for their regularisation and governing of their service condition. 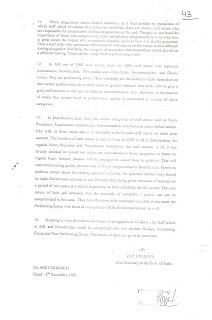 As can be seen from Para 16 the ‘Repeal and savings’ clause of the Indian Broadcasting Programme Service Rules dated 5.11.1990 this rule came in place of All India Radio (group A posts) Recruitment Rules1 963 as amended in 1984 and not ‘the Directorate General: All India Radio Supervisor (Foreign Languages) Recruitment Rules 1987’ . 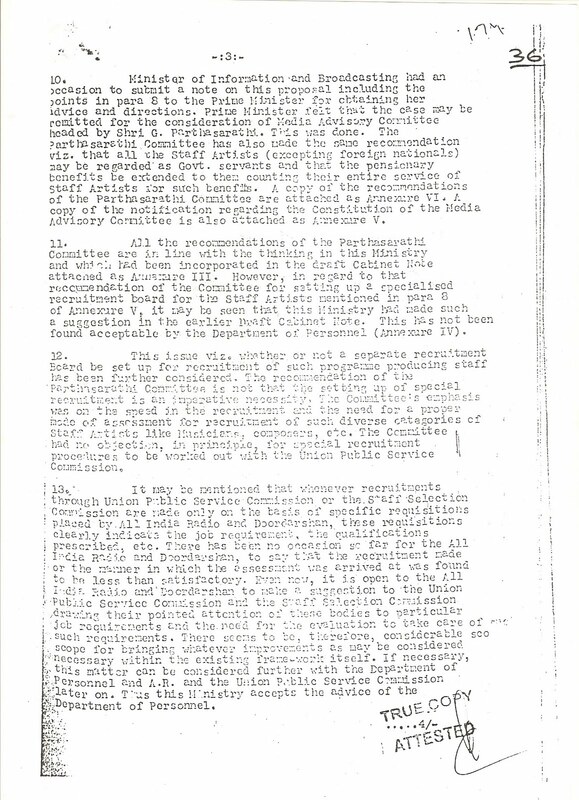 As is evidently clear the ambit of Sub Rule 6(1) ‘Initial Constitution of the service’ of the Indian Broadcasting Programme Service Rules dated 5.11.1990 only extends to those officers who were governed by All India Radio (group A posts) Recruitment Rules1 963 as amended on 23.10.1984 which was replaced by the IB(P)S Rules and not to those who were governed by any other Rules at that point in time. 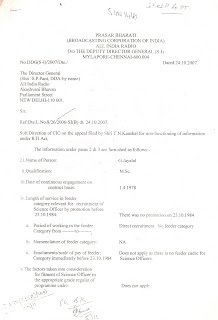 The Directorate General: All India Radio Supervisor (Foreign Languages) Recruitment Rules 1987 is a statutory rule under Art.309 and is still in vogue and hence any attempt to first include the Supervisors into All India Radio (group A posts) and then induct them into Indian Broadcasting Programme Service as envisaged by the MIB ID notes under reference is illegal being contrary to the Rules, arbitrary and without any basis in law. It is a well known principle of law that any executive order in contravention of statutory provision is a nullity. 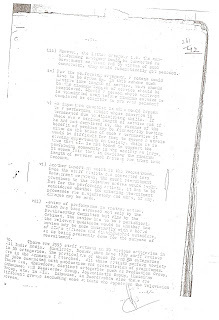 Moreover, in the path breaking Uma Devi judgment (para 5) it has been held by the APEX court that “if Rules have been made under Art.309 of the Constitution,then the Government can make appointments onlyin accordance with the rules ..It is recognized that no government order, notification or circular can be substituted for the statutory Rules framed under the authority of Law”. The rationale for non inclusion of the Foreign language Supervisors into the IB(P)S and regular programme cadre has been specifically examined and deliberated by various high power committees including the 5th CPC . While recommending ways and means for their career progression the pea for their inclusion into IB (P)S was struck down. As an intervener in OA no. 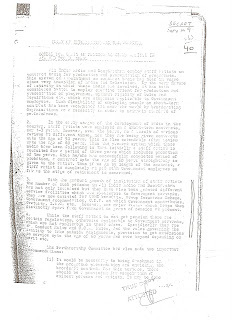 635/ this Association had brought on record all the relevant facts. 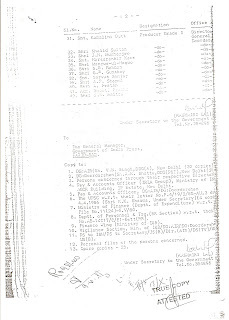 The Union of India (Secretary I&B) as a respondent through sworn affidavits had also placed before the Hon’ble Courts the statutory provisions and other documents negating the claims of the Supervisors for inclusion into IB(P)S.
In view of this the present change of stance of the I&B Ministry and their bending backwards to accommodate the supervisors in IB(P)S throwing all Rules to winds is inexplicable. It is clear that some officials in the Ministry in league with the Supervisors are trying to bend rules and induct them into the IB(P)S not unlikely for personal gains and gratification. 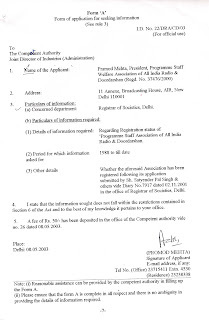 We appeal to your kind self to immediately intervene in the matter which is of grave concern to the Members of this Association and the Programme Cadre of AIR and Doordarshan. As this will also give credence to similar claims from other such categories of contractual appointees like news correspondents of Doordarshan etc. 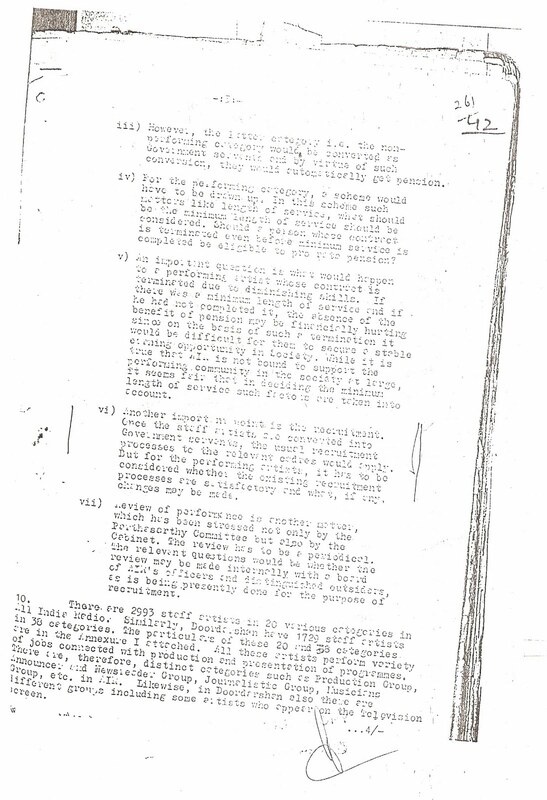 who are trying to get themselves inducted into the IB(P)S.
Whether any act can save them as after 28/02/1982 recruitees ? Station Director, AIR, New Delhi with the request to have this message announced immediately twice a day on 2 consecutive days.